Back on the Eighties it was all big hair, PacMan and money, money, money. To counter the years of hedonism and indulgence Japanese food – especially sushi – became a worldwide hit as a healthy meal. 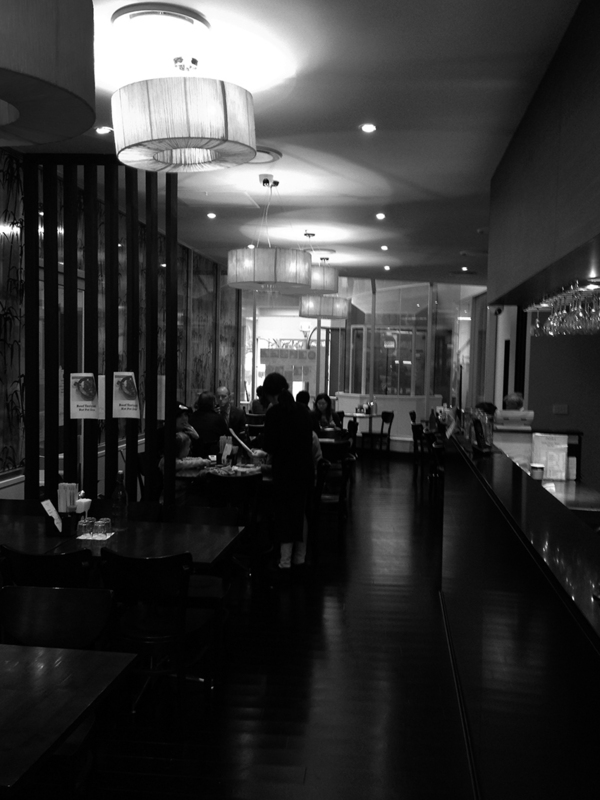 We checked out the city’s newest offering – Oishi – to see what quick lunch was on offer. The Fast and the Flavoursome is an exploration of Canberra’s cheap and cheerful dine-in experiences. Got a tip? Let us know in the comments below. Oishi (translation: delicious)appeared around 12 months ago. 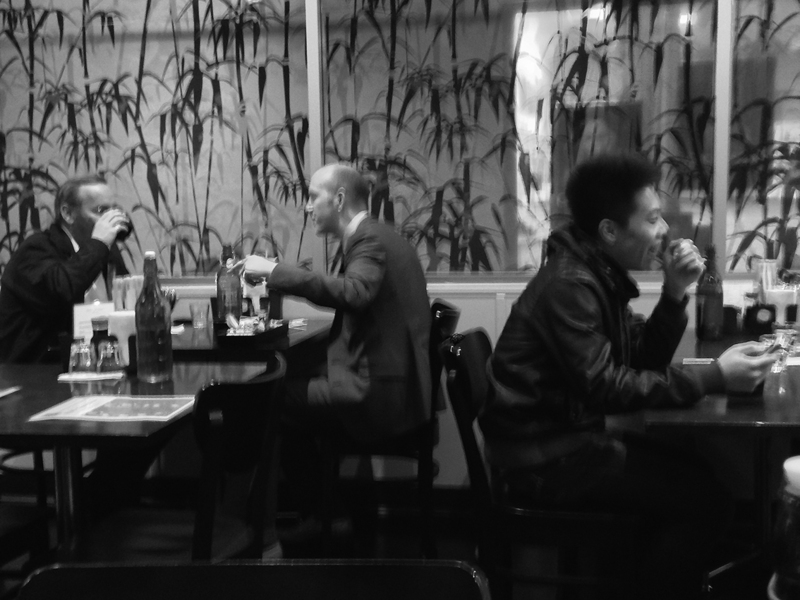 In the true Japanese style, the restaurant immediately presented a comfortable and friendly space among the hurley-burley of Bunda Street. We arrived for a relatively early lunch on a Monday and were eagerly greeted by the waitresses as we retreated from the cold drizzle outside. Seated down the back of the restaurant among a smattering of fellow diners, the lunchtime menu largely consists of offerings in the traditional Japanese lunchboxes. This was a good start – as we shivered to warm up after our time in the rain it certainly didn’t feel like a strictly sushi day. While the offerings of teriyaki (chicken or beef) or pork looked good we were captured by Oishi’s ‘Winter Warmers’ that instead suggest a range of soups designed to provide relief from the season. A spicy ramen ($12.50) served with maki rolls and a can of drink looked too good to pass up on a cold day. 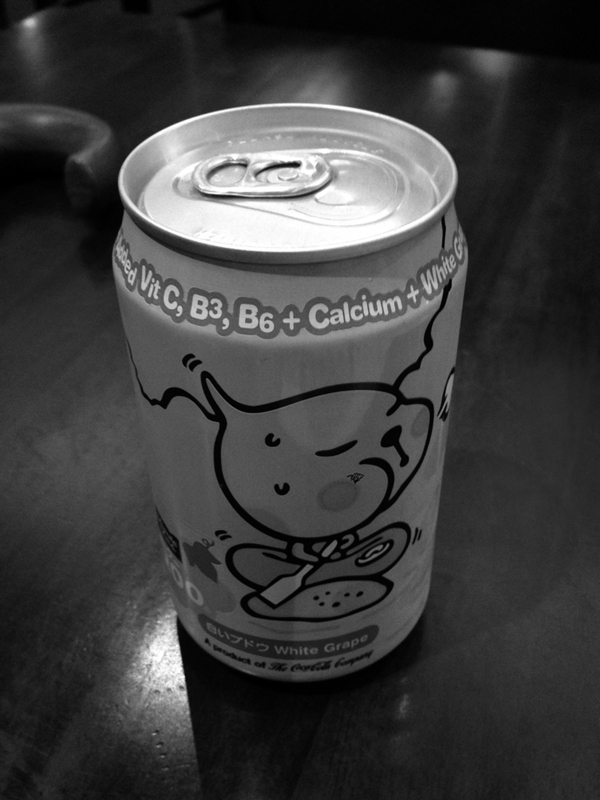 Minutes later a can of Japanese white grape juice arrived (make by Coca-Cola, of course) arrived at the table, decorated with the obligatory anime character to celebrate our choice of beverage. it was hard to disagree with the guy though, it was refreshingly delicious and not a sweet as the traditional Western soft drinks on offer. 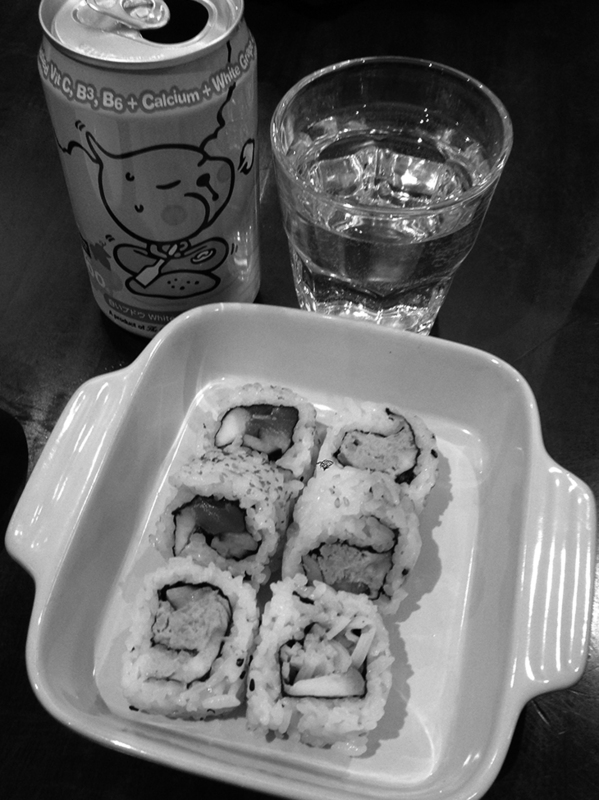 The maki rolls were next – almost immediately following our drink. Containing seasoned rice with nori, avocado and wither tuna or salmon and served with a decorative squirt of wasabi they made a lovely little appetiser. The value was certainly beginning to stack up. Again, only minutes passed before the next course. Admittedly the restaurant was pretty quiet, but one gets the feeling the wait would not be too much longer later in the week. 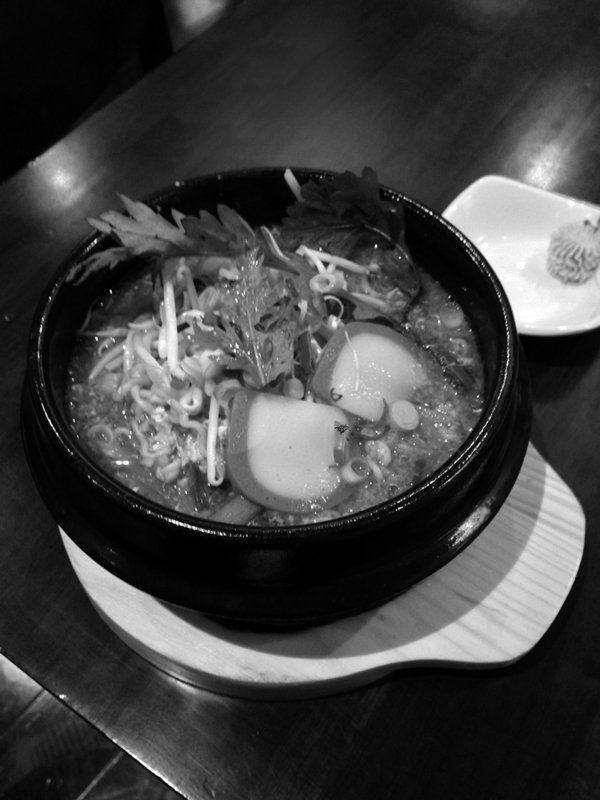 We could smell the spices coming of the ramen as it landed on the table – the dark orange broth swirling to reveal the sliced radish, bean sprouts, egg and shallots. We tucked in – and were immediately hit with the chilli. After a bit of sputtering calmed with more white grape juice we were better prepared for the next hit, and the hit after and the hit after that. By the time we had put away half of the ramen we found ourselves peering through weeping eyes and dealing with a runny nose. Certainly cold weather felt a million miles away as a light sweat presented upon our brows. It was as overwhelming as it was delicious. Ten minutes later – barely fifteen minutes after we had arrived – we were done. Chopsticks crossed to top of our bowl and all that remained of the maki rolls was a small puddle of wasabi-tinted soy sauce. Fast quick and delicious. Perfect for a quick city lunch. Just be sure to bring cash, as Oishi will only swipe your card for the unusually high minimum spend of $30.00.